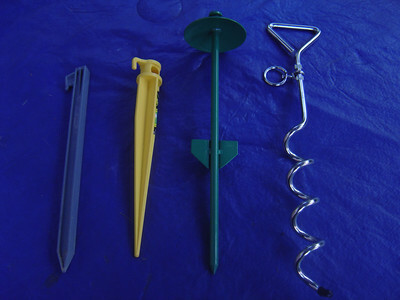 These are awning spikes. The first one (gray) came with the PUP but I've replaced that with the yellow one. 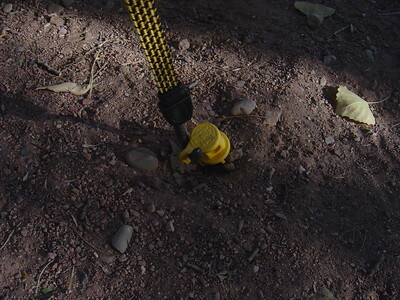 Which spike I use is dependent on the type of soil at the camp site. 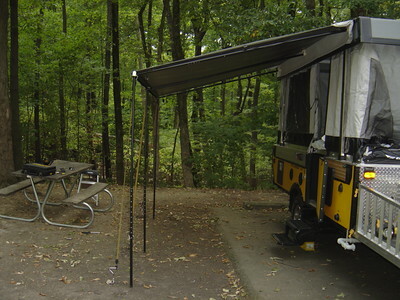 Awning secured with screw type spike and bungee cord. 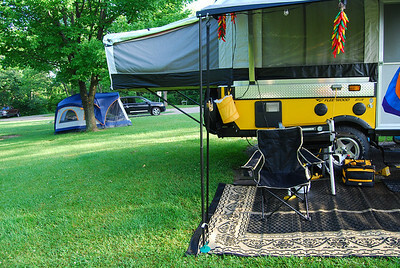 Awning secured with yellow spike and bungee cord. 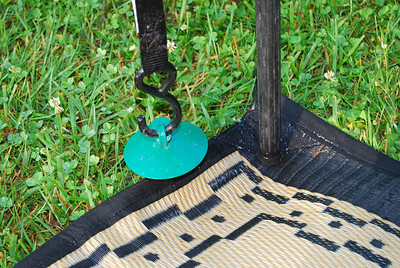 I've added this snap pin to attach the bungee cord. 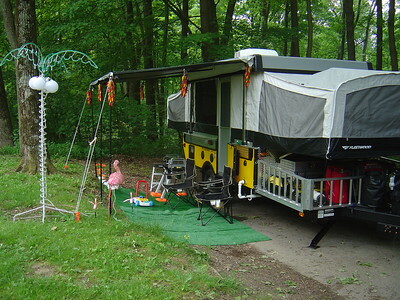 Awning secured with three bungee cords. 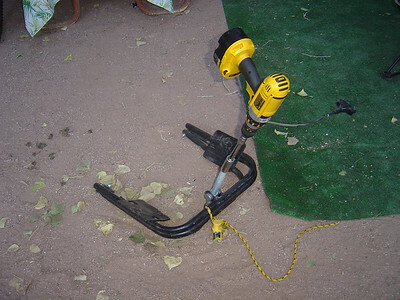 Note you can use cords or ratcheting tie downs. Awning secured with rope and plastic spikes. Sometimes it might be difficult to remove the spike. But the BAL level does a great job. 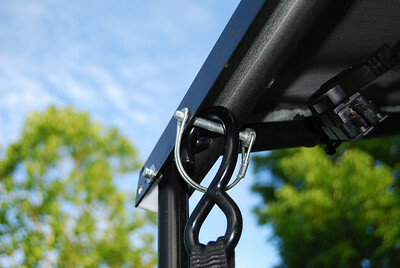 An alternative to Bungee cords is ratchet tie downs. 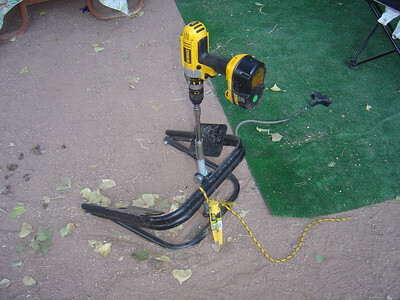 Take care when tightening the ratchet as it can pull the stake out of the ground. 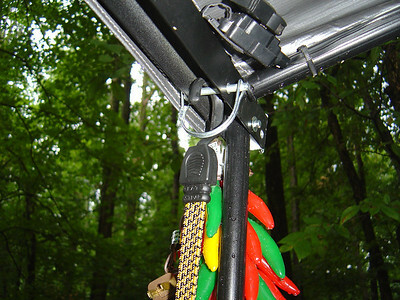 The ratchet tie down attached to the awning C channel. 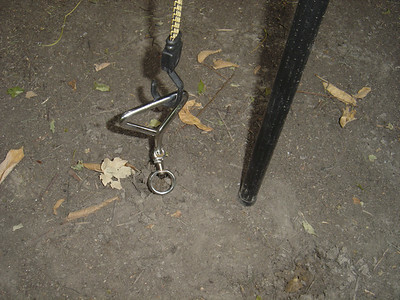 The ratchet tie down attached to a stake.